Life as scripted: travels, experiences, musings, and more. 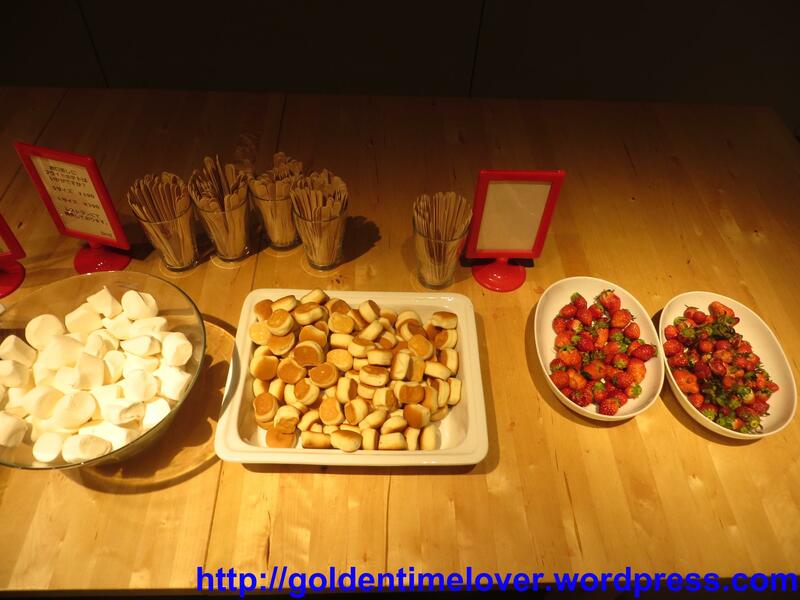 Last month, from February 5-15, all of IKEA’s Japanese branches held a sweets buffet in honor of Valentine’s Day, although the buffet’s theme was, at the same time, fastlagen, which is the Swedish term for Lent (a 40-day period of repentance, prayer, and fasting for Christians, the highlights of which are the death and resurrection of Christ). Why Lent? 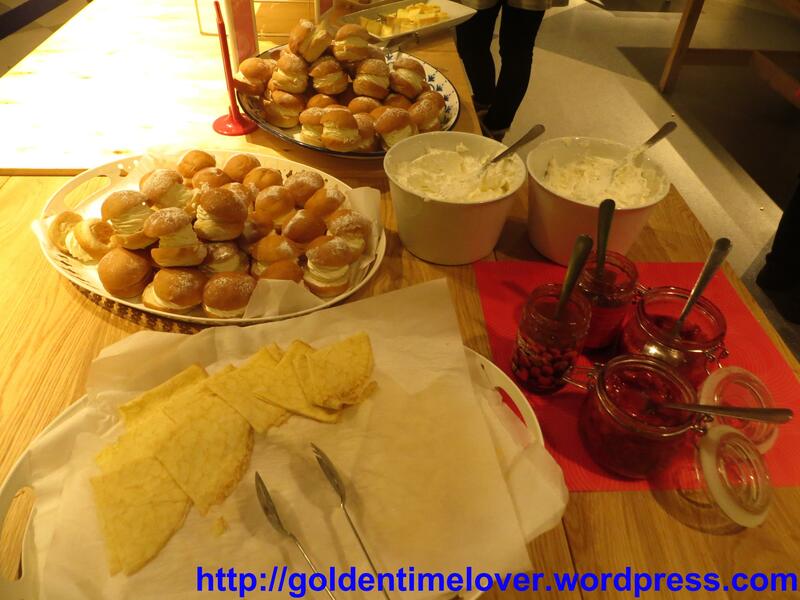 It’s because the buffet introduced semla, a bun filled with almond paste and milk and topped with whipped cream, which is usually eaten before and during Lent in Sweden. I don’t know if IKEA’s management was also aware that Ash Wednesday, the first day of Lent, started shortly after the buffet ended. 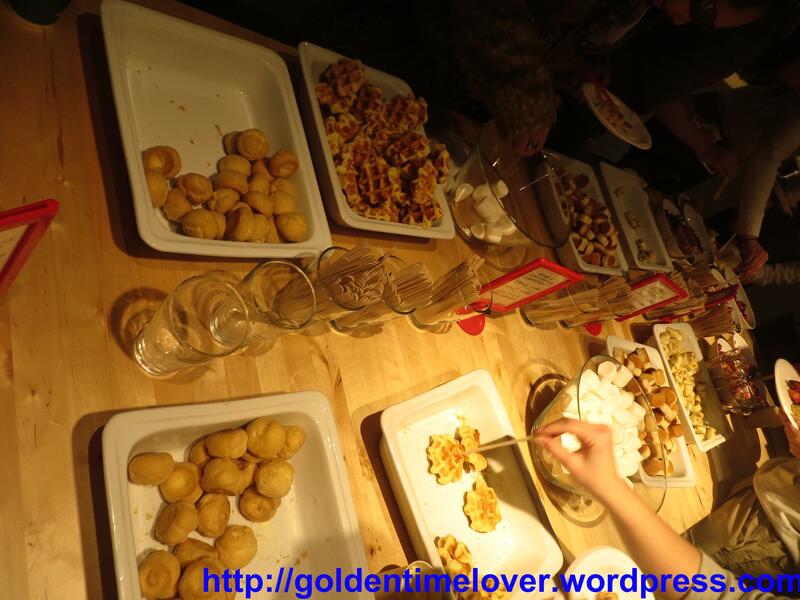 According to advertisements, the buffet would be held from 3-6 pm, and for only 499 yen. I don’t eat too many sweets at a time, but I thought it might be a good idea to check it out, as semla isn’t something you can find easily anywhere else, is it? Besides, there was an IKEA just a few stations away from a place where I worked part-time. And that’s how, one day, I found myself lining up for their sweets buffet. There are a few things that IKEA’s website didn’t mention. While there was some fine print about how they might have to impose crowd control measures such as giving out numbered tickets, they didn’t mention that the buffet would only be limited to 400 people on weekdays, and 300 on weekends. They also didn’t mention that, while the buffet started at 3 pm, you’d have to line up for numbered tickets way before that, as they gave them out at 1:00 pm. I learned that the hard way the first time I went to IKEA and was told that tickets had already been distributed, so I just came back another day. I lined up early – about 11:30 – and just read some articles to kill time, as the line grew longer and longer. If I remember correctly, the staff stopped people from getting in line at about 12:30. I really think IKEA should’ve been clearer about the number of people they’d be accommodating, and the distribution system for numbered tickets. 499 yen (about PHP200 or a bit over US$4) is really cheap for a sweets buffet. Considering that these are sweets we’re talking about, the selection may have seemed small, but it was already ample enough. 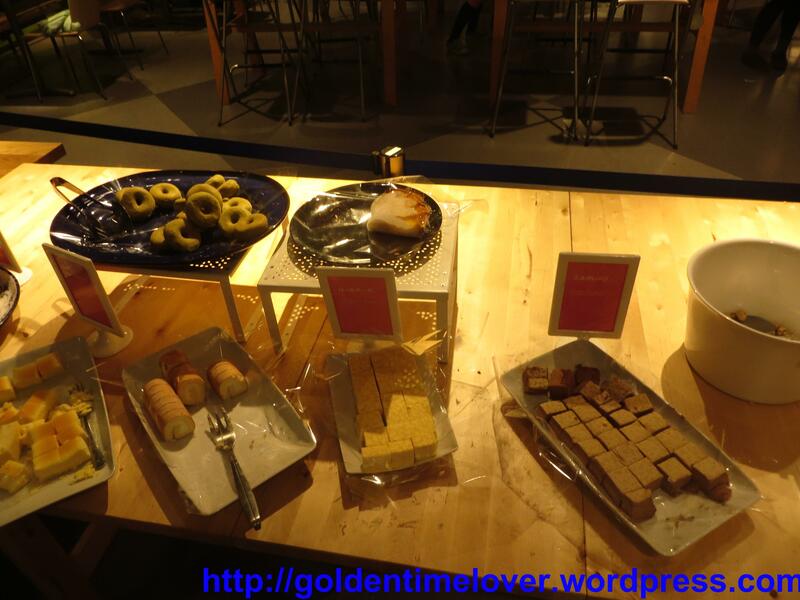 It reminded me of Gillian Gail, my friend’s dessert buffet restaurant in Manila. 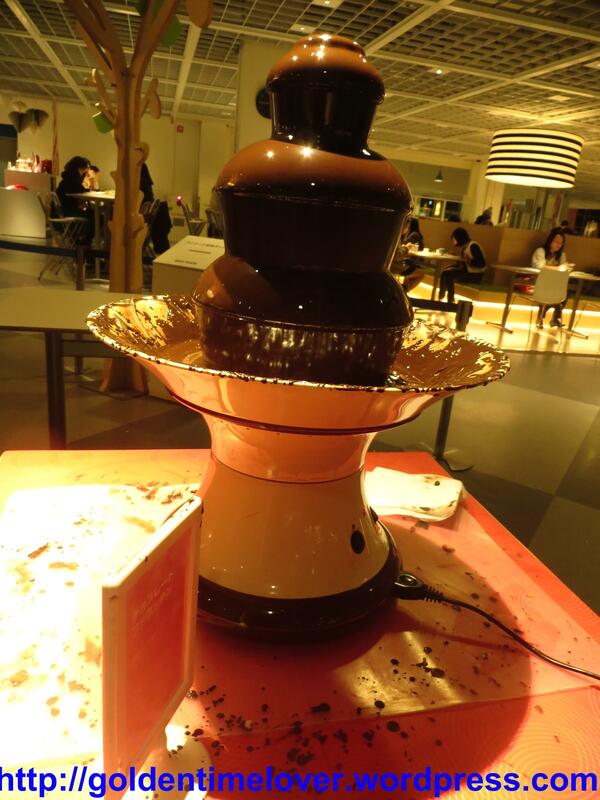 IKEA had a chocolate fountain, which you could dip strawberries, bread, or marshmallows into; creampuffs, crepes, fruit punch, pudding, an assortment of cakes (tiramisu, mont blanc, and cheesecake), mille-feuille, sponge cake, roll cake, donuts, parfait, and – of course – the star of the buffet: semla. 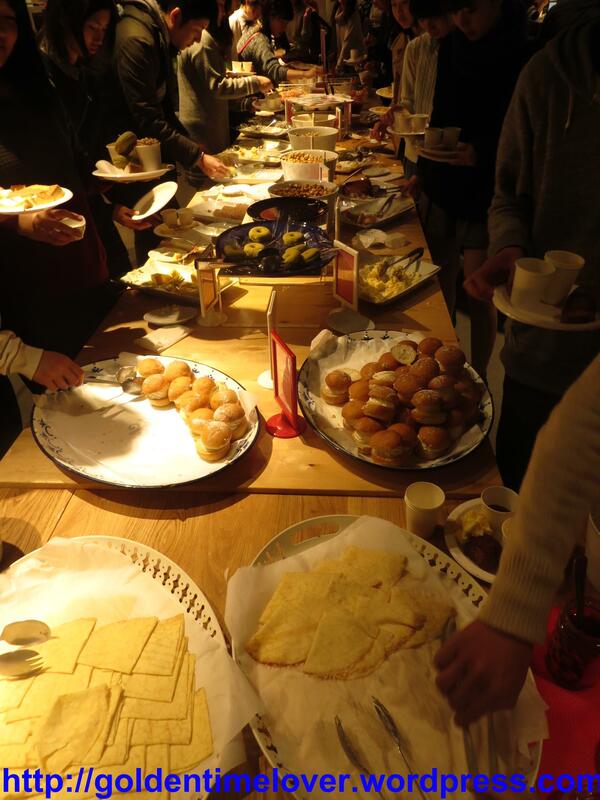 Considering that a single slice of cake can cost close to, or even more than, 499 yen in Tokyo, the buffet really was worth it, even if you were just there for one round. The selection was enough for someone to leave the buffet feeling all filled up, even though sweets don’t exactly make for a proper meal. So how was the buffet? It wasn’t anything extraordinary, but it was good! 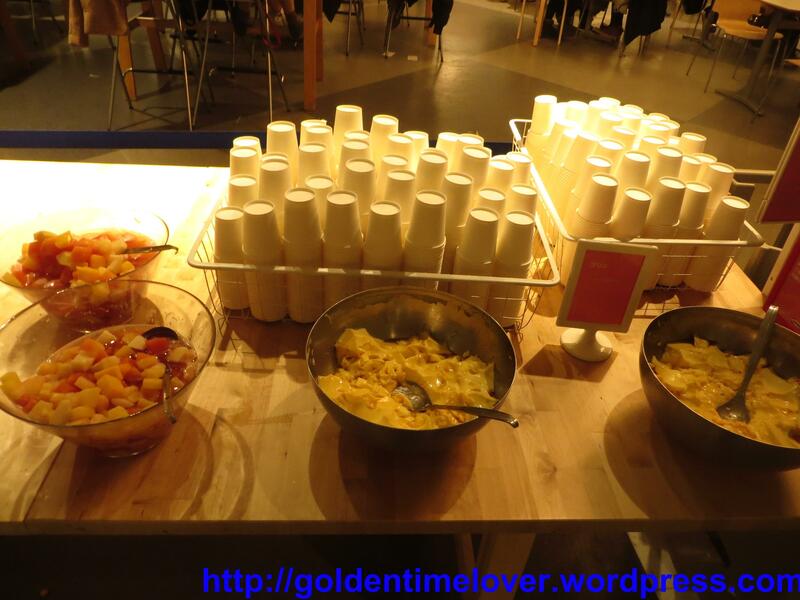 I especially liked the fruit punch and the pudding. I’m glad that I tried the semla, but I guess almond paste just isn’t really my thing, because I didn’t like it much. I found it too sweet, but perhaps others might have thought differently. I just had one bun and focused more on the sweets that I enjoyed. Having had a full meal, I didn’t go for many rounds, but I think I got my money’s worth. If IKEA has another sweets buffet next year, I don’t think I’ll go for it anymore, because having experienced it just this once was already good enough for me. See those buns over there? That’s semla. I learned that Gail, a college schoolmate of mine, opened a dessert restaurant called Gillian Gail Dessert Buffet, so I decided to eat there with some friends on my birthday. 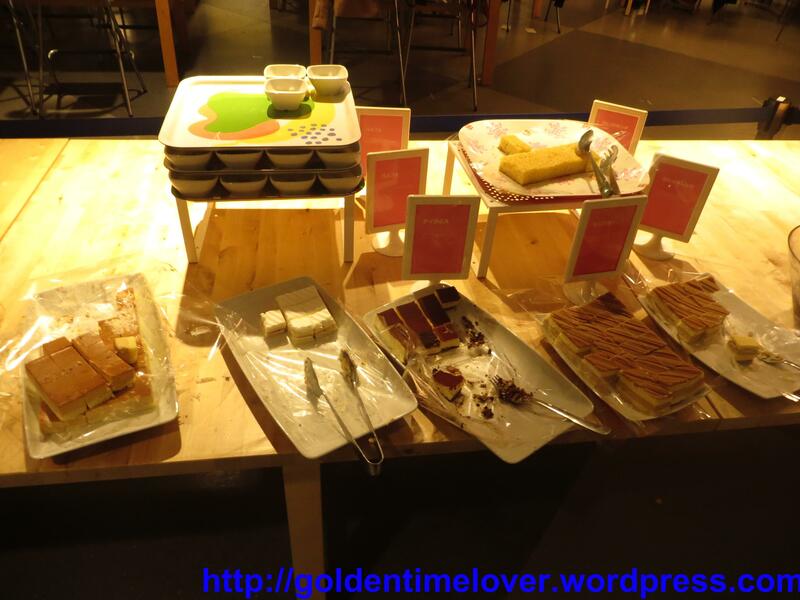 With its cozy, homey, and inviting interior, Gillian Gail is the perfect place for people to satisfy their sweet tooth, as the dessert buffet, which costs PHP299 (and is inclusive of a drink) for 3 hours, offers a wide selection of sweet treats. 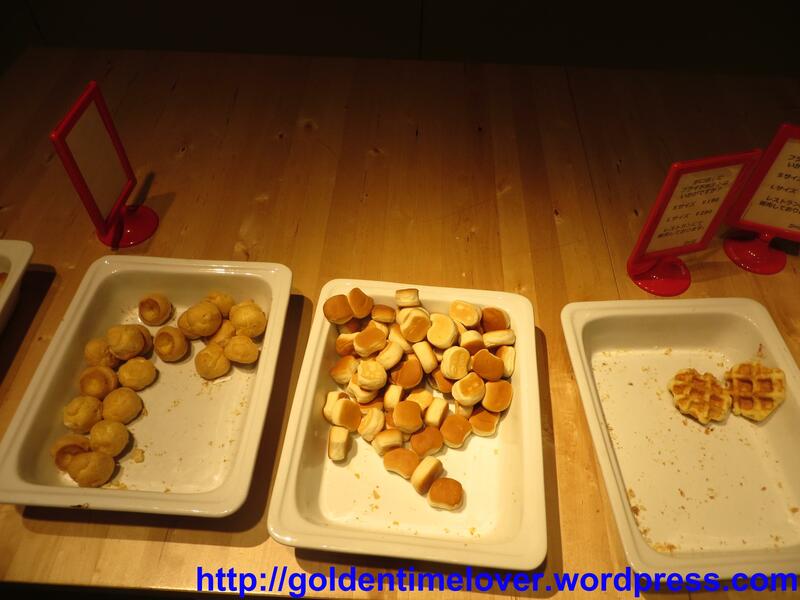 Although the restaurant isn’t large, and the buffet area may seem small, don’t underestimate it! 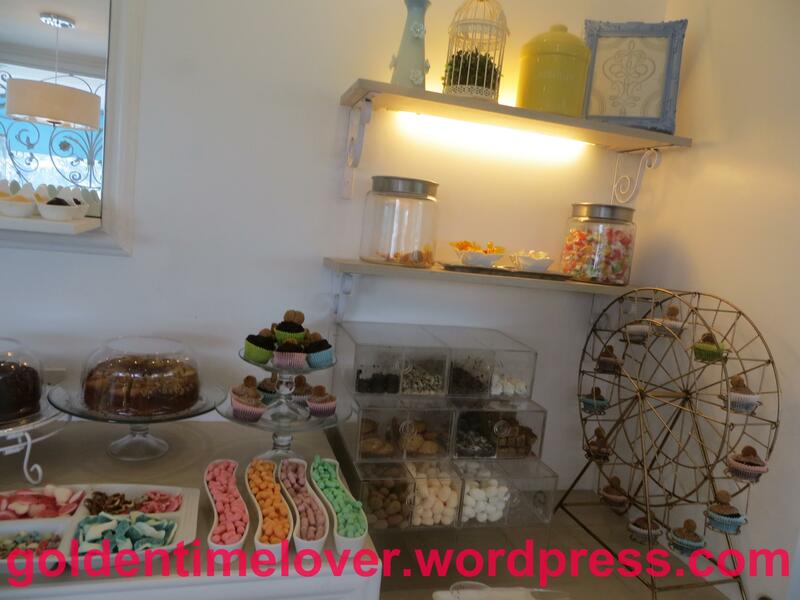 The restaurant maximizes the small space to hold as many sweets as possible: cakes, ice cream, cupcakes, gummies, brownies, cookies, candy, creampuffs, marshmallows, and more. The sweets are even arranged neatly and charmingly: for instance, there was a ferris wheel-shaped stand that held several cupcakes. 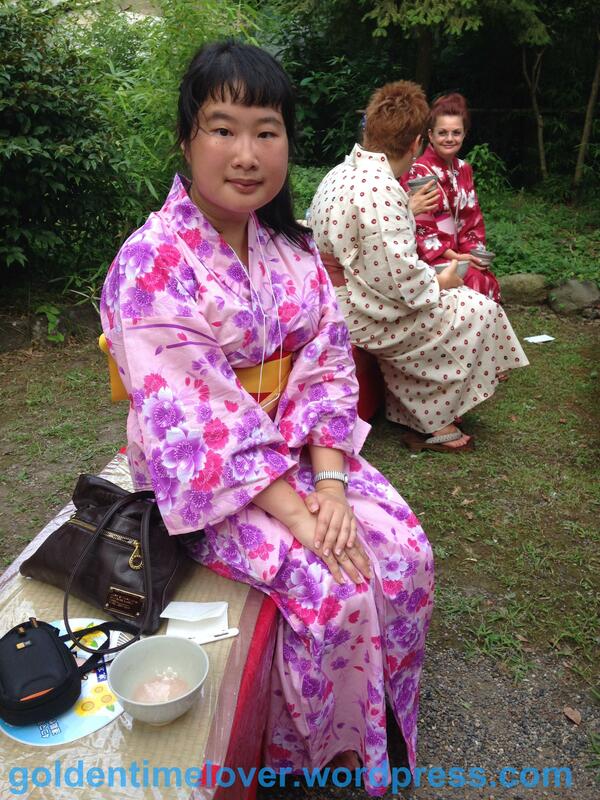 In August, the Sumida Ward tourism office held an event called “Yukata de Guide Tour,” during which foreigners could experience typical Japanese summer activities: wearing yukata, joining a cruise, and dancing the Bon Odori at a festival. Most of the event took place at Ryogoku, which has a reputation as a sumo town. Also known as a summer kimono, a yukata is made of cotton, and is thus thinner than a typical kimono. The organizers helped dress me up, and even provided geta (clogs) for me to wear. I’m sorry for the extremely delayed post, as I became quite busy. 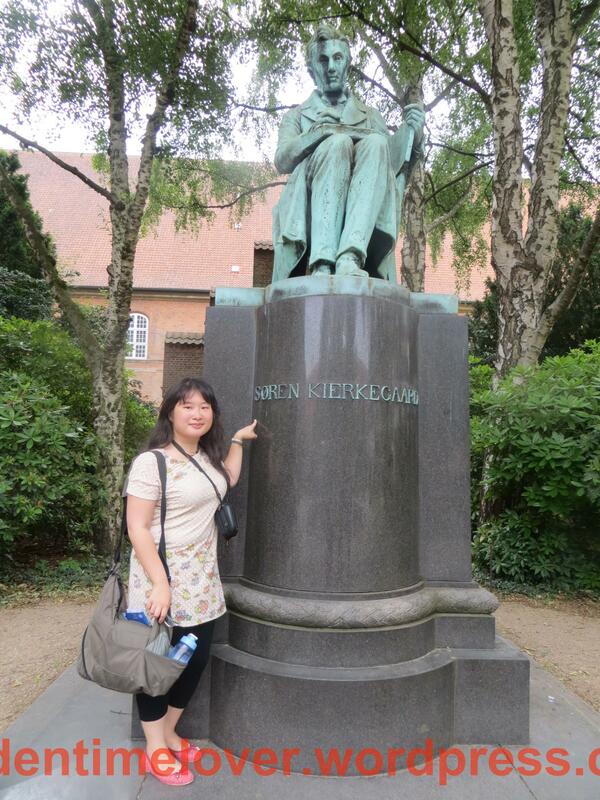 Last July, I went to Copenhagen, Denmark for a summer program that was nearly a month long at the University of Copenhagen. The class I took was about Søren Kierkegaard’s philosophy, focusing particularly on Either/Or and The Sickness Unto Death. Now, I wouldn’t call myself as good in philosophy, but I immensely enjoyed my philosophy classes as an undergraduate student, so, wanting to relive those days, I applied for this program and, fortunately, was chosen. It was my first time to set foot in Europe, and on my own, at that, so I was excited but nervous. That nervousness soon turned to enjoyment as the days went by. I thought that this incident that happened to my friend might be worth sharing. The rainy season has begun here in Tokyo, and the days can be rather dreary. Back home, in Manila, I heard that the rains have also begun. I hope that this story can put a smile to someone’s face. My friend got stuck in Osaka and missed the last shinkansen home, so I was worried after her last phone call got cut off, since she had no place to stay, or even a phone or wi-fi connection to make further contact with. She asked me for help, but didn’t have enough time, so I told her to go to the nearest police station (to ask for help) or Internet cafe (so that I could send her a link to a capsule hotel – she wanted to try staying in one, anyway). I wondered what happened to her after not hearing for her for an hour or so, only to receive a message from her with some good news. She asked a stranger where the nearest police station was, and struggled to explain her situation. Despite looking like he couldn’t afford to miss his train, he was so worried that he wouldn’t leave her alone, and booked her a hotel room (not just at any hotel, but at an upscale one) – and even paid for it! He was also very concerned that she didn’t have enough money (luckily, she did) and that she didn’t know how to go back to Tokyo, and felt assured to see that she had a Japan Rail Pass. My friend wanted to get his contact details to repay him, but he refused and just said to make sure she could get back safely to Tokyo the next day. I wonder if this post will ever reach him – I doubt it will (perhaps I should translate this into Japanese, but I’m not too confident in my skills) – but if it does, I’m sure my friend would like him to know how grateful she is for his magnanimity. What a lovely thing it is, to experience a random act of kindness from a stranger. My friend is in Tokyo for a vacation, and even though I’m insanely busy with school and part-time work, I’ve managed to set aside some time to go out with her and show her around. Recently, we visited Curry Station Niagara at my suggestion. Another friend posted pictures of her experience there, and after seeing how charming the place was, I wanted to go there myself, and I figured that my friend would want to eat there, too. Indeed, my friend was interested in the restaurant, so we set aside some time for a lunch date. What’s so unique and charming about Niagara, you ask? Why don’t you see for yourself? 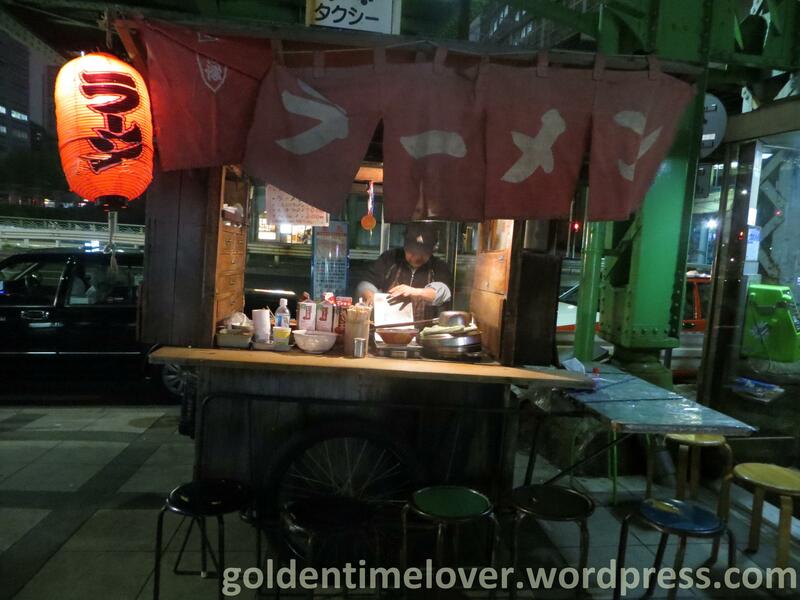 Ramen yatai (carts) are a rarity in Tokyo nowadays, so imagine my surprise and curiosity when I saw one outside the east exit of Suidobashi Station.